Susan Orlean once wrote raising chickens was a "do-it-yourself hobby at a moment when doing things yourself was newly appreciated as a declaration of self-sufficiency, a celebration of hand-work, a push-back from a numbing and disconnected big-box life." Many of us long for a renewed connection with the earth and greater control over our food. One might even say we long for a more Zen existence. Chickens, in their simple scratches and pecks, call us back to our true nature. 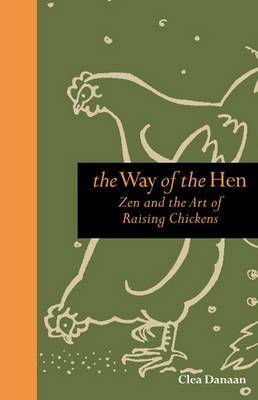 "The Way of the Hen "explores the entertaining, rewarding, and--yes--enlightening art of raising chickens in an urban or suburban backyard. It examines why keeping chickens has become so popular as it addresses environmental issues, the locovore movement, and a shift in the way we want to live. How to fit hen-keeping into a busy lifestyle? Find out in "The Way of the Hen."